One of the more fascinating bits of silliness you'll encounter if you play around with modern cosmology is the idea of the Boltzmann Brain. I've encountered this idea in various writings, most recently in my reading of Max Tegmark's latest book. It's a fascinating thought exercise. Ludwig Boltzmann was a physicist and philosopher who lived at around the turn of the last century. He's a bona fide giant in the field. He came up with equations that explain things that...well...honestly...I don't have much use for in my day-to-day work as a pastor. 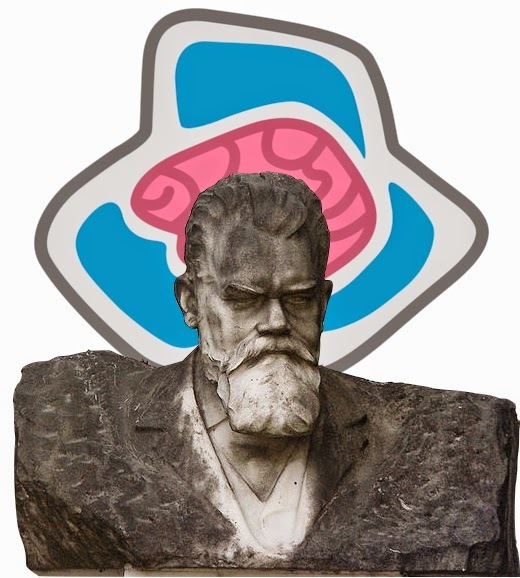 He didn't come up with the idea of the Boltzmann brain, but it was named after him. The core of the concept is that--given Boltzmann's assertion that our highly-ordered universe is just a low-entropy sliver of a massively energetic and infinitely larger system--intelligence is just as likely to arise sui generis as evolve. It's immensely improbable, sure. But in the endless recombination of energies and ephemeral structures that would churn up from a functionally infinite and timeless chaos, such a thing would happen. Meaning that awareness--sentience--could simply come into being. It does not have to evolve. It could simply be. As that thought exercise goes, it tends to involve speculation that our awareness--and our whole universe, in some versions--is just as likely to be a Boltzmann brain event. There'd be no way to know the difference. We could easily be just seconds old, coalesced from the eternal wildfire of the tohu wabohu. Please, please, no one tell this to Ken Ham. It's also a concept that seems to have more purchase now that creation looks to be multiversal. The dizzying energies of this cosmology lend themselves to some pretty insane potential realities. What I find fascinating about this concept lies not in the possibility of a human cerebral cortex just manifesting itself in the void. Instead, the idea that sentience itself might arise as an inherent part of being plays interestingly off of my own theological musings. Why not a Boltzmann God?